Excerpt of article originally titled "Realism, Islamism and Islam: When Will Difficult Conversations Begin?" British Prime Minister Theresa May says defeating Islamism "is one of the great challenges of our time." After the attacks in Manchester and London, British prime minister Theresa May called for "difficult, and often embarrassing, conversations" about the sources of extremism. In February, I called for soul searching among those who have refrained from speaking frankly about Islamism since 9/11. So far, that soul-searching and those conversations have not begun, at least not in public. Perhaps we are at a turning point. Since 9/11, the leaders in the democracies have refrained from stating in public what they knew to be true in private concerning the connections between Islam, Islamism and terror. They did so for a variety of reasons, including not offending Muslims, gaining support from Muslim communities for counterterrorism intelligence operations, avoiding fanning hostility to Muslims in democracies and being accused of Islamophobia. Such a policy was thought to be a realistic effort to avoid the "clash of civilizations" that the Islamist terror organizations were trying to foster. Donald Trump won in part because he denounced this apparent realism as political correctness run amok. Yet from the outset Trump's inability to speak the truth about anything, his penchant for conspiracy theories, and his toying with the anti-Muslim elements of his core supporters destroyed his credibility as a messenger about this issue. Instead, we need to look to other political leaders—and to writers and intellectuals—who had and have the courage to face down accusations of Islamophobia and to speak with intelligence and nuance about interpretations of the religion of Islam and the practice of terror. Western leaders refrain from stating in public what they privately know about the connection between Islamism and terrorism. 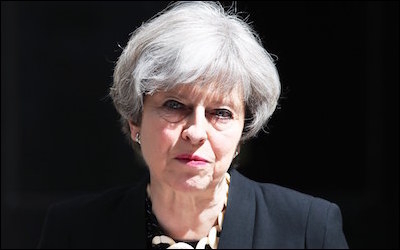 The three attacks in Britain this spring led Prime Minister May to state that "while we have made significant progress in recent years, there is—to be frank—far too much tolerance of extremism in our country. So we need to become far more robust in identifying it and stamping it out across the public sector and across society. That will require some difficult, and often embarrassing, conversations." She added that "defeating this ideology" which she did not specify, "is one of the great challenges of our time." As the French writer Pascal Bruckner has argued in his recent essay Un racisme imaginaire: La querelle de'Islamophobie (An Imaginary Racism: The Dispute about Islamophobia) that for that to happen, criticism of Islamism, or Islam as religious doctrines, and the issue of their connections to terrorism should be regarded as legitimate as criticism and interpretation of religion has been in the modern West since the Enlightenment. The horror of the recent attacks, and the fact that Islamist terrorism has been a fact of life and death around the world since the 1990s, may finally convince leaders in the democracies to listen to voices of criticism that they have previously ignored. It's necessary to pay attention to voices that have been speaking and writing for a long time but were dismissed as Islamophobic. In his recently published Der Islamische Kreuzzug und der Ratlose Westen: Warum Wir eine Selbstbewusste Islamkritik Brauchen (The Islamic Crusade and the Helpless and Clueless West: Why We Need a Self-Confident Critique of Islam), the German journalist Samuel Schirmbeck cites the work of North African Muslim writers, scholars, and journalists who, since the 1990s, were drawing attention to the connections between interpretations of Islam and the practice of terror by Islamists organizations. They did so, especially in what he called "the terror years" in the 1990s in Algeria, which is when 100,000-200,000 people died in a civil war between Islamist organizations and the military regime. 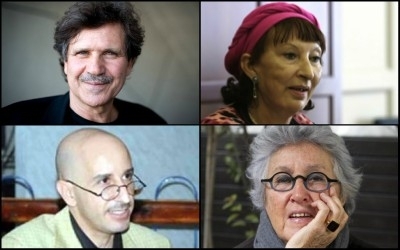 The voices of Muslim intellectuals such as (clockwise from top left) Abdelwahab Meddeb, Fatema Mernissi, Wassyla Tamzali, and Said Djabelkhir are missing from Western discussions of Islamism and terror. Despite the billions of dollars spent in counterterrorism efforts in Europe and the United States, the writings and views of Muslim writers and scholars such as Abdelwahab Meddeb, Fatema Mernissi, Zaim Khenchelaoui, Abdennour Bidar, Wassyla Tamzali, Tahar Djaout, Said Mekbel, Abdellah Taia, Said Djabelkhir, among others, have remained either unknown or absent from the discussion about Islam, Islamism, and terror in the democracies. While the essays and novels of Boualem Sansal did receive attention in Europe, on the whole, what Schirmbeck calls North Africa's Voltaires and its "Muslim Enlightenment" did not find an echo in the Western press and public discussion. In their scholarship, journalism, poetry, essays and satire, these writers disputed the idea that terror "had nothing to do with Islam." They called for a critical engagement with the sacred texts which terrorists cited to justify murder and offered abundant and embarrassing evidence about the importance of religious texts used to legitimate terror. They argued that a criticism of Islamism and its interpretation of the sacred texts of Islam were not synonymous with prejudice against Muslims. They began an enlightenment project comparable to the historicization and critical reading of the Old and New Testaments in the history of Christianity and Judaism in Europe's eighteenth century. They did so beginning in the 1990s, before the attacks of 9/11. Schirmbeck offers a long and grim list of journalists and writers in North Africa murdered by Islamist terrorist organizations. Though only available in German, Schirmbeck's examination of the North African Muslim Enlightenment constitutes an important contribution to discussion of the issues here as well. 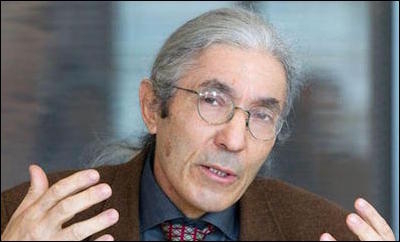 Boualem Sansal: "[W]ith the accusation of Islamophobia, the Islamists found the absolute weapon." Yet, in what Paul Berman rightly described as "the flight of the intellectuals" from inconvenient truths, the seemingly natural liberal and left-leaning allies of the North African Muslim Enlightenment, critics who opposed religious fundamentalism in their own societies, mostly refused to listen to the warnings from North Africa. Instead, as Sansal wrote, "with the accusation of Islamophobia, the Islamists found the absolute weapon," one that they used to censure a necessary discussion about religious justifications for terrorism as instead a form of racism against Muslims or blasphemy against Islam. Western governments and intellectuals, fearful of accusations of making "blanket generalizations about all Muslims," did not say publicly what their diplomats, intelligence agencies and political analysts knew to be the truth. The resulting vacuum was filled by easy and stupid conversations by the nationalist and populist voices in Europe and by Trump's demagoguery in the United States. The terrorists of our era, like those of the past, are inspired by a set of ideas, in this case, religiously legitimated ideas. It is these ideas, not the character flaws spread widely and equally among human beings, that are the problem. While millions of Muslims firmly reject these ideas, a minority, however small, does not. It is not true that Islamism has nothing to do with the texts of the religion of Islam. ... [It] is not a sign of respect to ignore what people say as they engaged in terrorist attacks. The terrorists of our era, like those of the past, are inspired by ideas. Further, serious people who have some understanding of the role of religion in modern Western history all understand that at times religious belief has been a source of political fanaticism and mass violence. To address the religion of Islam with the same mixture of empathy and criticism that became the norm after the Enlightenment in the West asserts that the issue of Islamism, Islam and politics will be treated with equally, not more or less critically, than the West treats its own religious past and present. He is also right that when and if Western leaders speak frankly, they will be making common cause with those Muslims, from the Mayor of London to the anti-Islamist writers of North Africa, who reject the employment of the texts of Islam to justify terrorism and who embrace the values of open, free and pluralistic societies. For many years, the voices of apparent realism in the democracies have told us that euphemism and avoidance regarding the truth about Islamism, Islam and terror were essential to win the "war on terror." Fearful of generating an anti-Muslim backlash in the democracies, the euphemisms and silences of the realists of center right and center left have contributed to just that outcome. To refrain from stating the obvious has fostered cynicism and mistrust, which contributed to the mistrust of elites and the success of Trump's populist demagoguery. It was never realistic or prudent to publicly deny the ideological underpinnings of terror in recent decades. Now it is important to say that Yigal Carmon, Bassam Tibi, Boualem Sansal, the anti-Islamist writers of North Africa, and the late Fouad Ajami, among others, have been the true realists in this long running debate. It was never realistic, hard-headed or prudent to deny in public what all Western political leaders knew—or should have known—about the ideological connection between interpretations of the religion of Islam and the practice of terror in recent decades. Realism in politics and policy demands an unflinching gaze at the facts, the evidence and the truth. That unflinching gaze needs to be focused on the ideas and passions that have inflamed the hearts and minds of the murderers. Elements of the intellectual history of Islamist terror have already been written and are readily available as sources for the "difficult, and often embarrassing, conversations" that need to take place around the world.